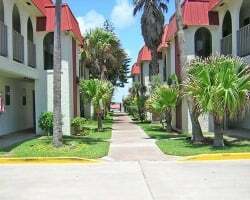 Visitors who come to the *La Casa del Sol Resort* in Corpus Christi discover an ideal vacation getaway: the sun, the sea, the sights, plus exhilarating and engaging activities the whole family can enjoy. Spend the day on the beach soaking up the sun or wind surfing, a local favorite pastime. Visit the massive Texas State Aquarium with its new Dolphin Bay, a protected habitat for dolphins unable to survive in open water. Take a tour of The USS Lexington, one of the most famous aircraft carriers in U.S. naval history. Stroll through fabulous flora and fauna at the Botanical Gardens. At the Museum of Science and History, check out the recreated Pinta and Santa Maria, two of the ships Columbus used to sail to the new world. At night, enjoy a succulent seafood dinner at any number of fine restaurants, then head to the historic Harbor Playhouse for delightfully original community theater and a true taste of what Corpus Christi is all about. Whatever you decide to do, your whole family will enjoy their vacation at the La Casa del Sol! 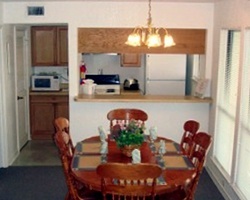 Lots of great onsite amenities to make this your new home away from home! Choose to stay in Texas any floating week! Make an offer today!